Salman Ahmad, one of South Asia’s most influential cultural figures, is a musician, physician and United Nations goodwill ambassador. With his wife, Samina, he launched an NGO called the Salman & Samina Global Wellness Initiative, focused on interfaith and cross-cultural dialogue, global health and wellness, and music education. 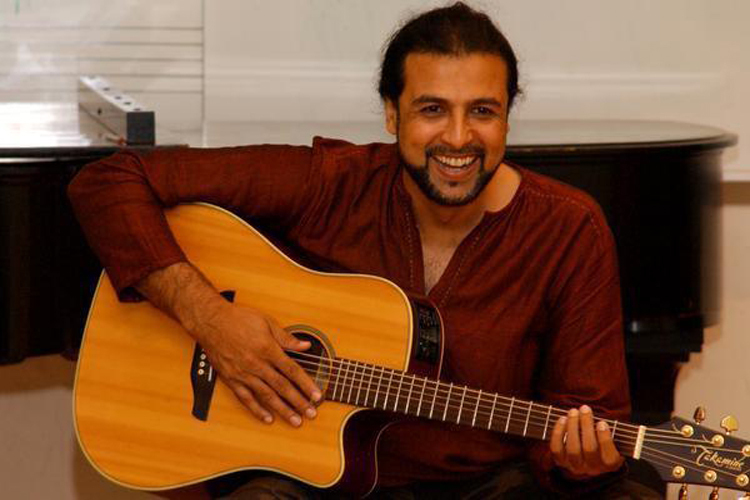 Ahmad popularized a blend of Western rock music and Eastern/Islamic music that has been called “Sufi rock” and that has been hailed as a cultural bridge within South Asia and between the East and West. Junoon has sold over 25 million albums worldwide and has shared the stage with artists such as Melissa Etheridge, Alicia Keys, Sting, Earth Wind and Fire, and Wyclef Jean. Ahmad has recently co-written and recorded a song with academy award winning artist Melissa Etheridge called Ring the Bells. Ahmad led Junoon in a 2001 performance at the U.N. General Assembly Hall—the first such rock performance in that hall. In 2007 Junoon performed at the Nobel Peace Prize ceremony in Oslo. The group defied death threats from militants to perform in 2008 in the valley of Kashmir — the first rock concert to be held in Srinagar. Ahmad has written a memoir for Simon and Schuster titled Rock and Roll Jihad (scheduled for publication in early 2010) and has written commentaries for the Washington Post’s “On Faith” website. He is also a member of the Brookings institute’s US-Islamic arts & culture panel for public diplomacy. Ahmad has appeared on major television networks such as CNN, FOX, ABC, NBC, AL-Jazeera and AL-Arabiya and has been the subject of two documentary films: “The Rockstar and the Mullahs” and “Its My Country Too” for PBS/Wide Angle and the BBC. Ahmad is also a professor at Queens college (CUNY) where he teaches music and poetry from Muslim culture. He received an honorary doctorate from the Claremont Graduate University in 2009.